Seat storage pockets to keep the interior neat and tidy. Trafic Crew is packed with safety features including 5 airbags, reversing camera as well as 3 points belts and headrest for all occupants. Designed to keep your passengers safe, the integrated, glazed bulkhead keeps your crew and cargo separate. Stay organised with an additional 98L of rear seat storage. Ample load space for all your tools and equipment. 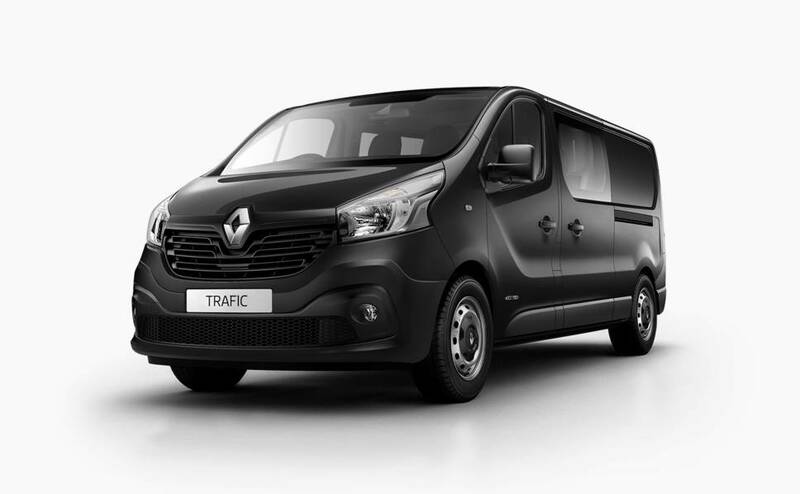 With double the seating capacity than before, the new Trafic Crew is both practical and innovative. To demonstrate the Trafic's versatility and capability, Renault tasked CarAdvice with recruiting a group of hard-working load-hauling locals to spend time on the job with the 103SWB variant. Here's what they thought. Australia may well be the land of the ute, but in many other parts of the world - especially continental Europe - the mid-sized van is king of the tradies. Rob Randazzo and Brenton O'Connor review the small to medium van sector. 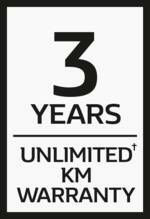 †Warranty valid for 3 years or 200,000km (whichever comes first) for new and demonstrator TRAFIC models. ^First 3 scheduled maintenance services capped at $549 per service on TRAFIC 66kW and 85kW and $599 per service on TRAFIC 103kW, based on standard scheduled servicing from new and on normal operating conditions. Scheduled maintenance services required every twelve (12) months or up to 30,000km (whichever occurs first) and are also subject to adaptive servicing requirements, as determined by the Oil Condition Sensor and may require servicing prior to the standard 12 months or 30,000km service interval. If vehicle is not presented within three (3) months of when the scheduled service is required, right to that capped-price service under the program is forfeited. Additional service items not included in capped price.